I am often asked and then laboriously must explain the empirical evidence behind a mushroom tattoo -I start with the ankle ink of the mushroom and end with G-protein coupled receptors in your brain... my tattoo is not just a pictorial representation of the profound but a modern parable. In which the moral is clear and illustrated by molecules of serotonin and not mushrooms per se but their psilocin molecules which their DNA is built to make. Psilocin is like a neurotransmitter, one we could really use, but cannot make as we lack the genes for the protein which makes it....but I know a species that has just the genes that fit! I endeavour to convince people of the rational reasons behind getting a blue mushroom cluster tattooed onto my ankle - I say doubting me is reasonable, but to trust that I represented the science accurately, using the tattoo as a mere bait to teach, and then to doubt the science is a felony of ignorance. To not affirm my position after you trust or research for yourself the information then you also commit a misdemeanor of wilful ignorance: my position is that a mushroom can and is - and I argue has been demonstrated empirically - to be a medicine of unknown value and the closest and best tool in our tool kit for changing the software of the serotonergic driven human mind. 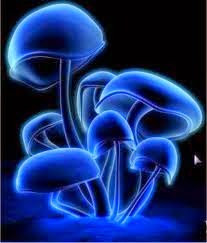 The mushroom and your mind are rich in medicine and mystery. I can offer speculation and logic as to why and how these medicinal effects happen - how these changes of mind can happen so noticeably whilst so rapidly - and last for a lifetime from one use - well this is harder to explain - only due to an impoverished literature on mushroom/psilocin medicine. It has been shown to treat, with high efficacy, depression and in a new pilot study had a 90% success rate at stopping lifetime smokers (up from 10% :(). These are two examples of it's known use as medicine scientifically. These ailments are often hard to treat with therapy and the latest pharmaceuticals, I say they are better treated with a mushroom and stand by it. Behaviours are related to our minds and our subjective experience. Feelings such as addiction and depression are often largely determined by serotonin. 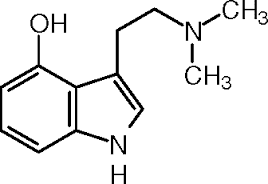 Serotonin is the brain chemical that the mushrooms own analogue of serotonin: called psilocin works on. So psilocin can reboot the brain, in a four hour software upload-the software being a psilocin mushroom and result in new mindsets that are not possible using traditional tricks. Why? because we are not using the brain to change the brain (this is serotonin treating itself), psilocin is effectively hacking into the serotonin receptors and doing this hacking correctly appears to be a more effective treatment for many long term mental issues due to psilocin being an external "neurochemiscal" that does things serotonin just is not made to acheive (it is two carbon atoms short after all). You name the mind or mental issue and psilocin could help - under correct direction and advice. It is nothing short of a 'panacea' in the rarely funded experiments to treat the worst mental crisis's or troubled minds. I submit that if you love your mind, which is largely dependent on serotonin and serotonin receptors (e.g.G-protein coupled receptors for serotonin, that still win Nobel prizes for new research), seeing as psilocin is two carbon atoms different from serotonin many mental enigmas can be solved by it's use, and I will argue a mushroom that grows in darkness can be the best light to get our species with all it's crazed minds, irrational beliefs and existential problems in order, faster, more effectively and non-toxically too. Psilocin works due to its likeness to serotonin, and serotonin's role as the linchpin in a neurochemical soup that's sum total is your human mind. Somehow psilocin can activate G-proteins in serotonin receptors (why serotonin receptors are capable of such lockpicking is not known), the fact remains that hacking into your consciousness and changing how you view the world is the key to its medicnal use. 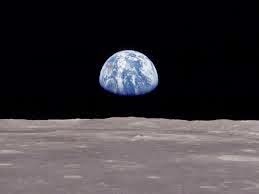 After all your perspective is everything, as conscious creatures it determines nearly everything. I seem like a lunatic to some claiming so much and offering my word and a mushroom as evidence, however my word is not what I offer, I offer science and a self testable hypothesis. Psilocin is a serotonin agonist fact, studies show ridiculously effective data fact, I want you to doubt me fact- I don't want you to doubt the science fact. I can give you the rare studies that are funded as proof of my positions truth, the limit on how effective psilocin is remains to be seen - because it rests with how much serotonin receptors can be manipulated into new mind sets. Find me evidence to the contrary if you doubt the science. 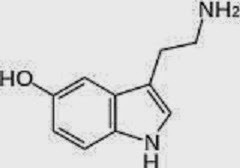 If you try psicolin do your homework as it is not a hobby but a self actualizing device, manipulating serotonin in ways allowable by nature but "not meant to be" is still non toxic, but is radically life changing if done correctly. I also invite you to see the reasoning behind why a mushroom would be a great medicine for the human mind rather than a toxic toadstool I am hyping up. I could not tattoo to my ankle a mushroom of psilocin after seeing how much one can change in a few hours personally. The science only affirmed my subjective bias. If one sets a goal BEFORE they take the mushroom software which does strange things to serotonin 2a and 1a G-protein coupled receptors. You are literally brushing up against neuroscientific frontiers of true ignorance. G proteins are actually waiting someone to show how a molecule is interpreted as a feelingvia these proteins and so on like an onion of mystery.. so win a Nobel prize for your own imagination. Or fund MAPS who will win one with a mushroom!